It is nice to see you more grounded these days, for by not going around with your head in the clouds, you are more able to look at the positive side of things and remove yourself from the proverbial fence, upon which you have been see-sawing. 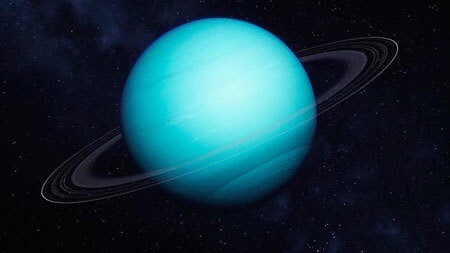 Uranus is poised to help get you moving in the right direction during this retrograde, and a careful review of the status quo will help you with your struggles. Fear seems to be your biggest component, and once you have come to the realization that you truly deserve everything you have ever wanted, you will be able to adapt nicely to the cosmic turbulence around at this time. You are very protective of your own self these days, not to say you are ignoring others, but are definitely more concerned with your own well being and the new identity which is emerging for you. A solid life is desired, one which contains the things which bring you comfort, not necessarily in the form of riches, but where you feel you are allowed to live in your truth. This transition brings with it both new and renewed commitments, and by the time it is over the timing for said commitments will indeed be much better. No need to rush it; sometimes you just need to relax and leave some things to the Universe. Uranus is electrifying, to say the least. You are on a quest for power, which could show you looking cool, calm and collected on the exterior, but prepared to strike at a moment’s notice. There will be many twists and turns, out-of-the-blue events, during this retrograde, with Uranus playing a very big part in the Total Solar Eclipse in Leo on August 21. Life as you know it is about to change, and a new adventure awaits which allows you to separate from something which has caused you pain. This entry was posted in General Tarot, Love and Finance, Patreon, Readings, Through the Eyes of Tarot, YouTube Videos and tagged Guidance, Path, Reading, Retrograde, Tarot, Uranus.